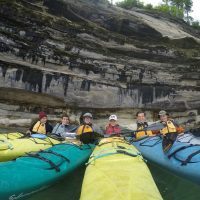 Leelanau & Kohahna’s 2500 feet of Lake Michigan beachfront are the perfect setting for sea kayaking. 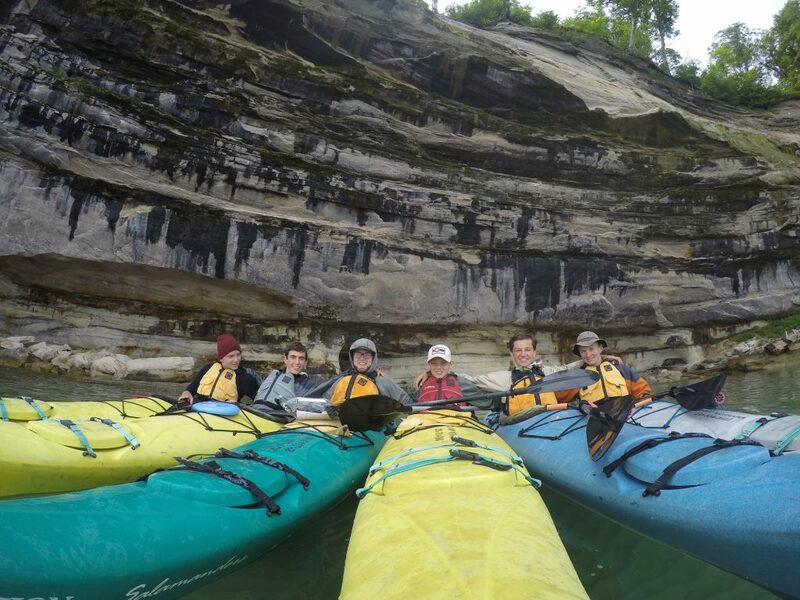 The beautiful scenery of the Sleeping Bear Dunes, high-quality touring kayaks and paddles, and the waves of Lake Michigan make kayaking at camp a memorable experience. Camp expert instructors teach proper safety techniques as well as advanced moves like the Eskimo roll and how to surf the waves forwards, sideways, and backwards! Land Sports covers most major sporting activities: basketball, baseball, football, soccer, volleyball, and roller hockey. This activity works to foster a great work ethic and discipline in the campers as well as teaching them how to be gracious competitors. Our Land Sports counselors are often current college athletes with extensive training and experience in many of the sports we teach. 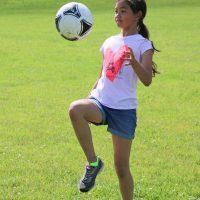 Usually during the summer, we will have a couple of specialized clinics with professional college coaches or athletes who share their knowledge and experience with our campers. In the past we have had baseball, basketball, football, and volleyball clinics that have been very beneficial. Pyramid Point offers a natural classroom for the nature activity. The location offers four eco-systems to explore and learn in. The mature hardwood forests, the meadows, the sand dunes, and the wetlands are at our doorstep where tree, plant and fauna species are identified, bird and animal habitat are studied, and the beauty of it all thoroughly enjoyed. 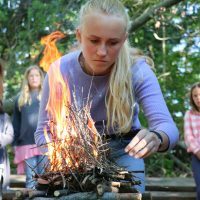 The nature counselors work to create exciting, project-oriented lesson plans that keep the campers engaged and enthusiastic. 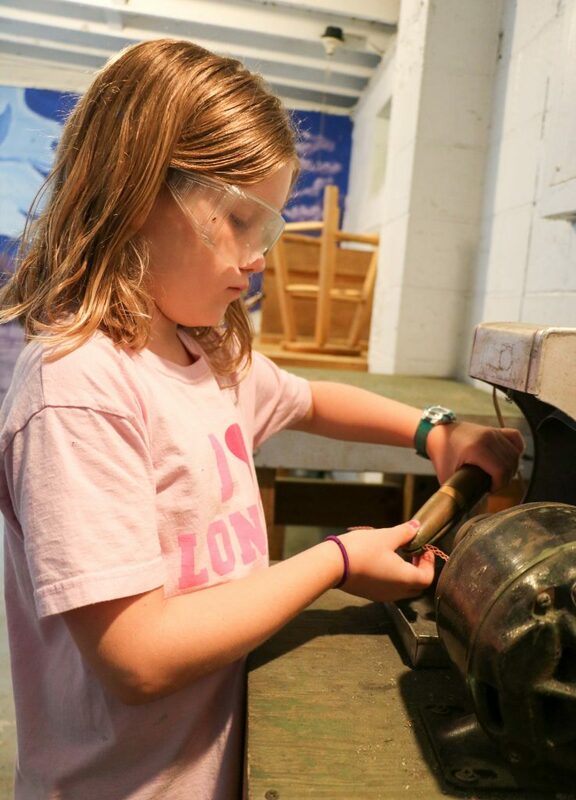 It’s all in the name: RCA=Really Cool Activities. 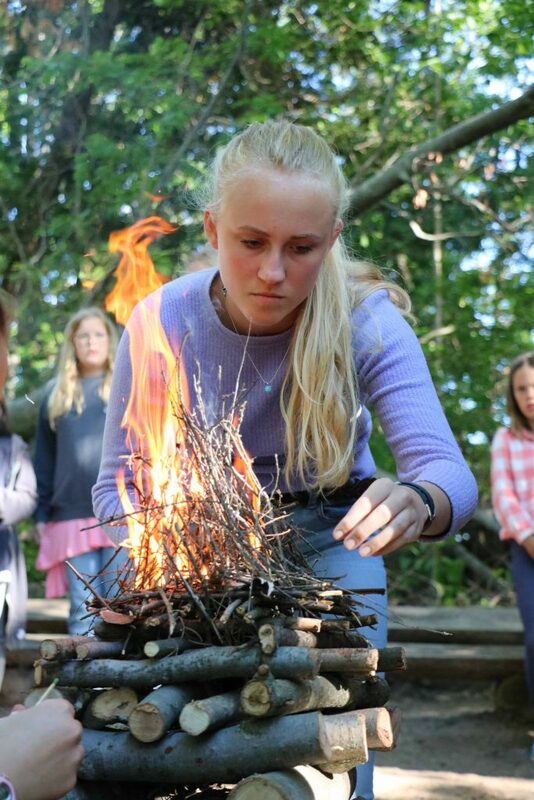 RCA features a wide range of creative activities that have included: necklace making, painting murals, building model rockets, making candles, Leelanau’s very own version of Stomp, and more. 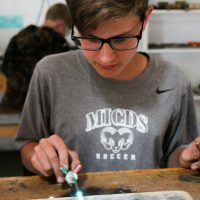 RCA is a little bit different every summer, but it always offers an opportunity for creativity, artistic style, and craftsmanship. 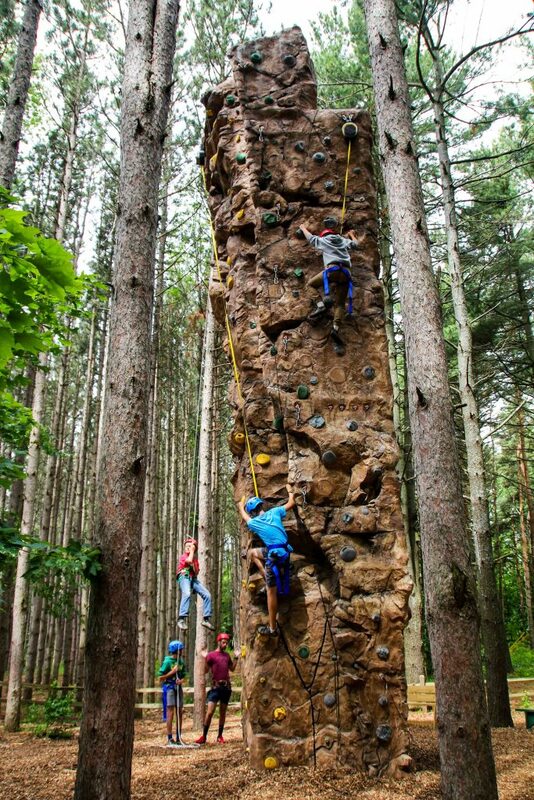 Get on belay and get up high on our state of the art Rock Climbing Tower. With 4 sides and endless routes to the top you can spend day after day with a new challenge in front of you. 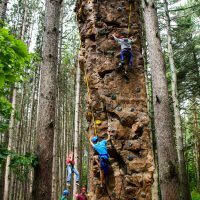 Made of Fiberglass Reinforced Concrete the Rock Wall feels like, and climbs like, a pillar of basalt has been dropped from the sky right into our very own Pine Forest. Climbing class also teaches the necessary knots and belaying skills to take home for future high adventures. Nothing compares to the feeling of gliding along Lake Michigan at 8 knots and leaning back to do a head dip. 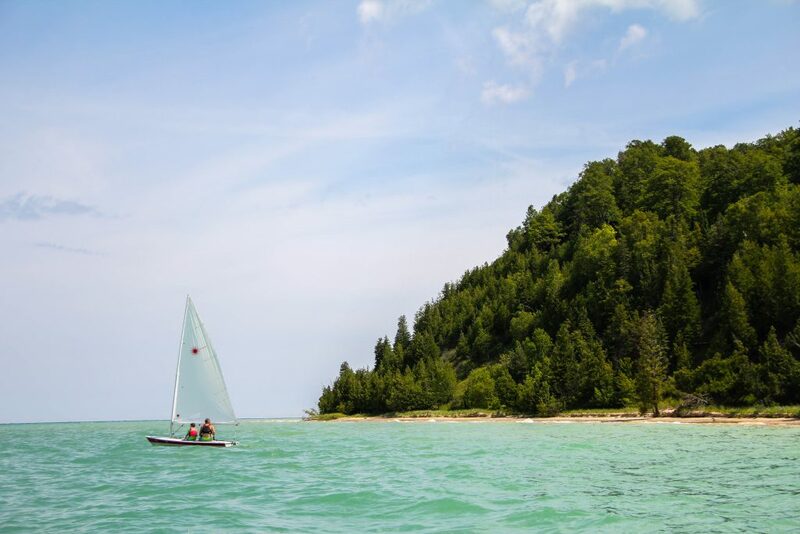 With five Lasers, two JY-15s, two Club JYs, and a Sunfish, Leelanau & Kohahna’s sailing fleet has a boat to match every skill level. We also have three Optimist sailboats for our 8-11 year-old campers who learn to safely sail single-handedly in our outstanding Jr. Sailing Program. Our top-notch boats combine with camp’s perfect location on the edge of a point creating ideal sailing conditions. And that means sailing at Leelanau & Kohahna is FAST. Variable wind and wave levels promise every sailor, no matter how experienced, an exciting and challenging ride on beautiful Lake Michigan. Rings, earrings, necklaces – oh my! 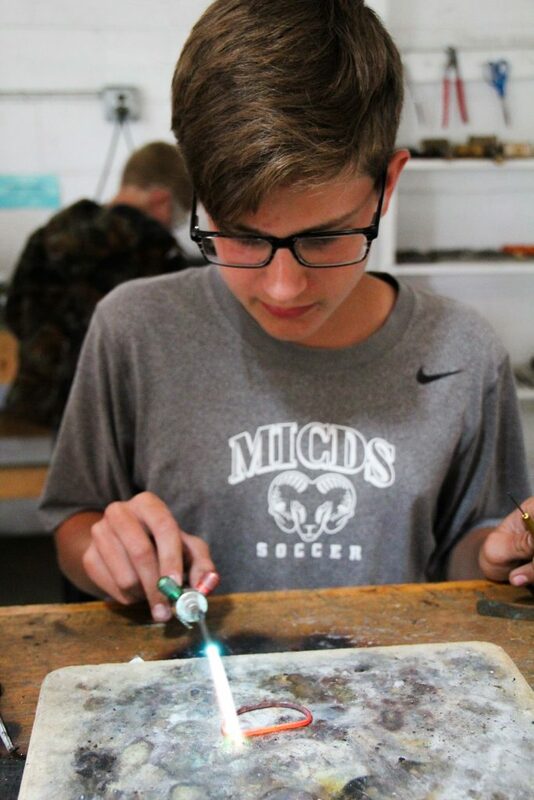 In silver-smithing campers are introduced to different forms of silver and endless design ideas including stamping, engraving, and soldering. 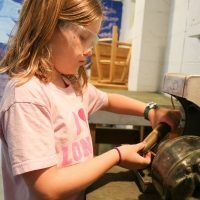 With the help of an expert instructor they learn about various tools and techniques to free their creative spirit, and craft a beautiful piece of jewelry to keep for themselves or to take home to Mom! 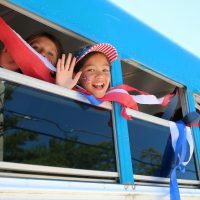 Country Fair Day, Summer Olympics… every year we manage to find all sorts of occasions to break out the costumes and face paints and have fun! 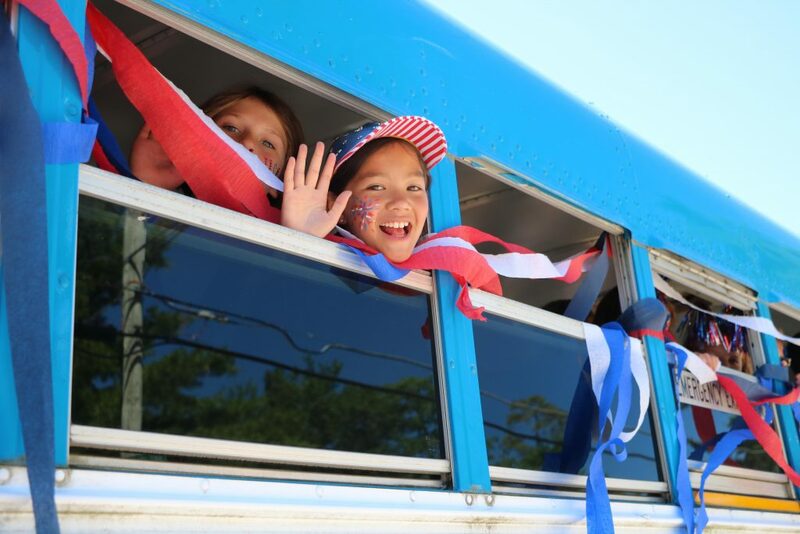 Fourth of July is always a highlight with a trip into the neighboring town of Glen Arbor (after we decorate the camp bus, of course) to join their parade festivities. “The Old Ballgame” is quickly becoming an annual tradition in the boys’ camp. We’re always on the lookout for special opportunities to share with our campers. 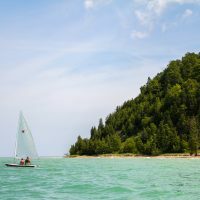 Swimming is a fundamental skill at Leelanau and Kohahna since each waterfront activity requires a certain proficiency level. All campers are evaluated in their swimming ability the first day of each session. 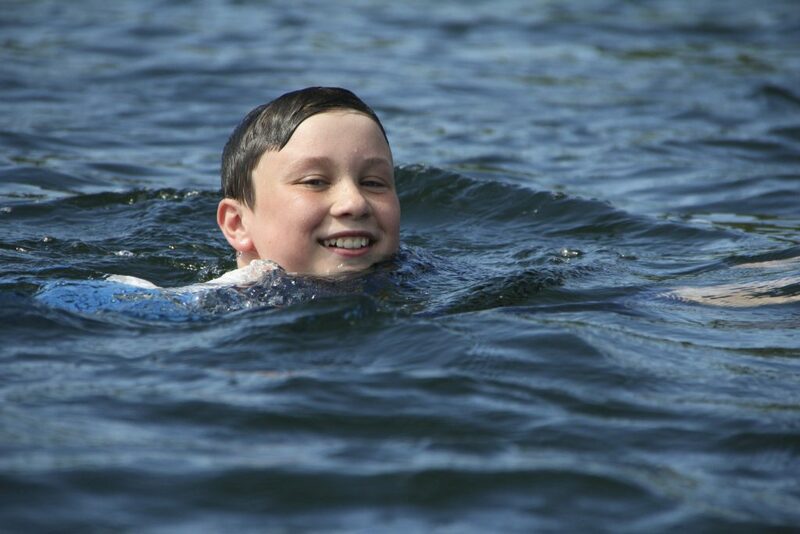 Each camper is then assigned a swimming ability level that will enable them to participate in waterfront activities. 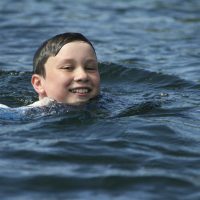 Campers can sign up for swimming as an activity to enhance and improve upon their swimming ability. Standard Red Cross swimming levels are taught by our swimming staff and are evaluated by a certified Red Cross water safety instructor. Parents will often request that their children be signed up for swimming to improve their skill and confidence in the water. We also have some campers and counselors who swim competitively in school, and work together at setting up training times during the day. 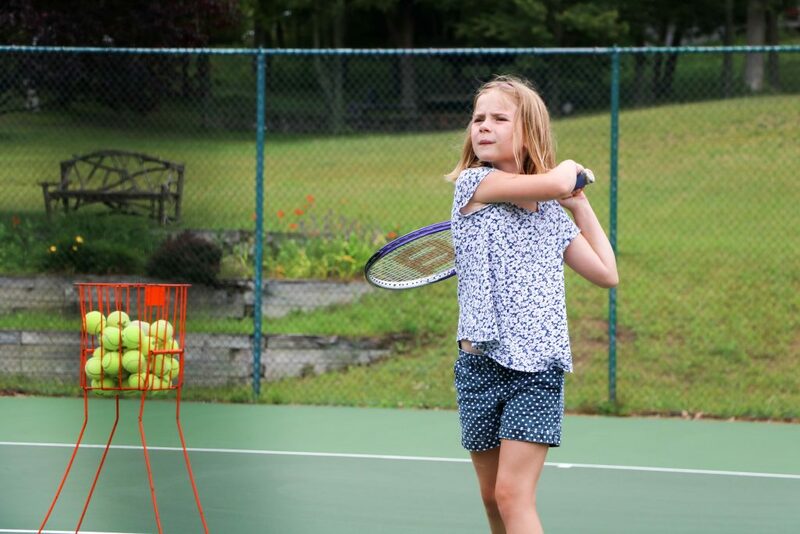 Our tennis program features four well-maintained outdoor courts, where campers receive high level instruction from counselors who know how to play the game. 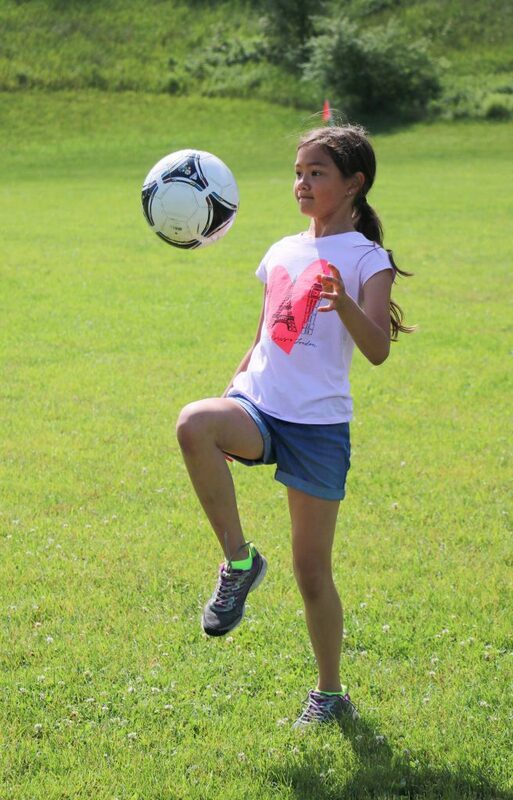 Throughout the summer, campers are taught proper form and technique and have numerous opportunities to play and practice. 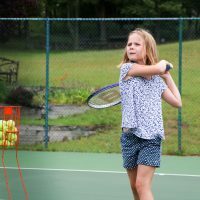 At the end of the summer there is opportunity for a competitive co-ed tennis tournament that invites some of the top tennis players from both Leelanau and Kohahna to participate.